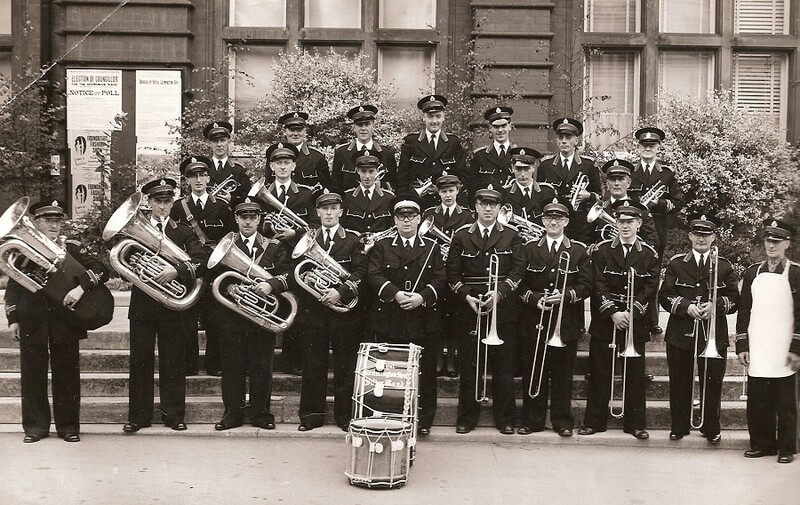 Royal Spa Brass is the Town Band of Royal Leamington Spa and our roots can be traced back more than 100 years. 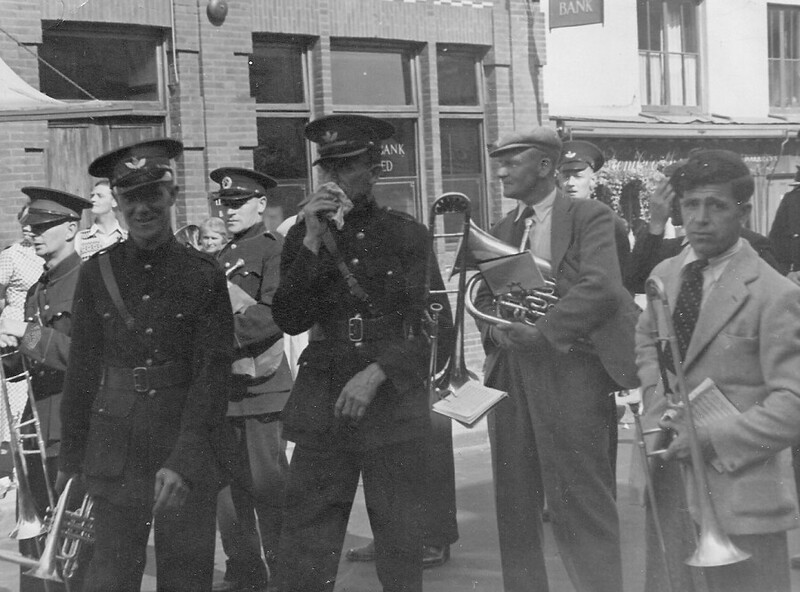 Throughout the last century it has provided a musical tradition enjoyed by thousands of members of the local community both as players or listeners. 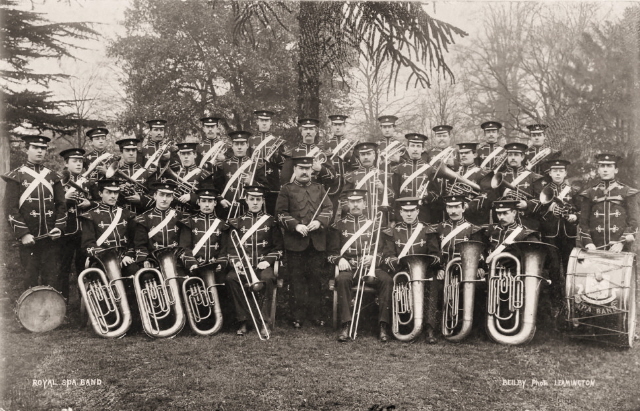 The original Royal Spa Brass, under the baton of (Al)Fred Titcombe was dissolved during the First World War most likely as the result of losses on the battlefield as was the case with so many bands of the time. 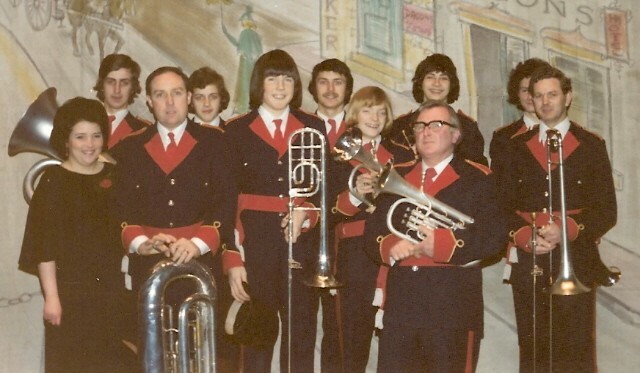 The remaining musicians dispersed to play with other local bands including Kenilworth, Bishop's Itchington and Cubbington,keeping the local brass band tradition alive for the next forty years. 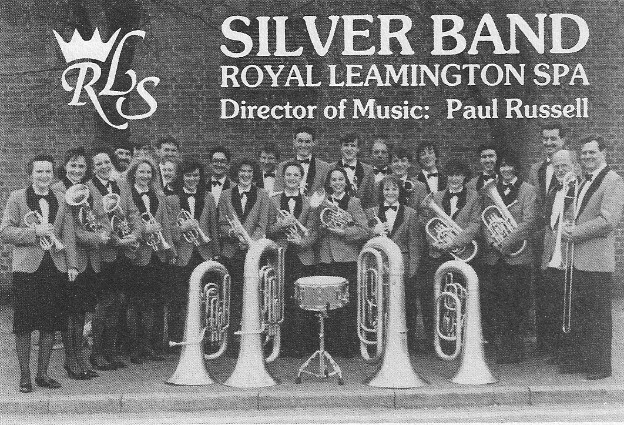 On April 6th 1955, in an initiative masterminded by the euphoniumist and secretary Ken Bowers, the band was reformed under the name of The Royal Leamington Spa Silver Band using the instruments and including many of the players from the Kenilworth Town and Bishops Itchington Imperial Bands. 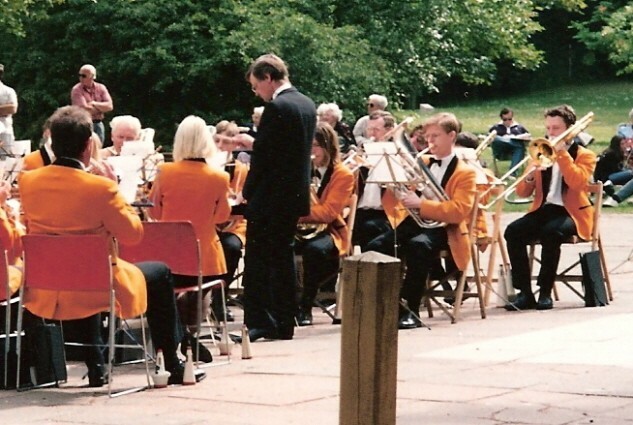 The Leamington Town Entertainments Committee lent the band £180 for new uniforms and in return the Band agreed to play eighteen engagements over two years in The Pump Room Gardens - each engagement to be considered as a £10 reduction in the loan! 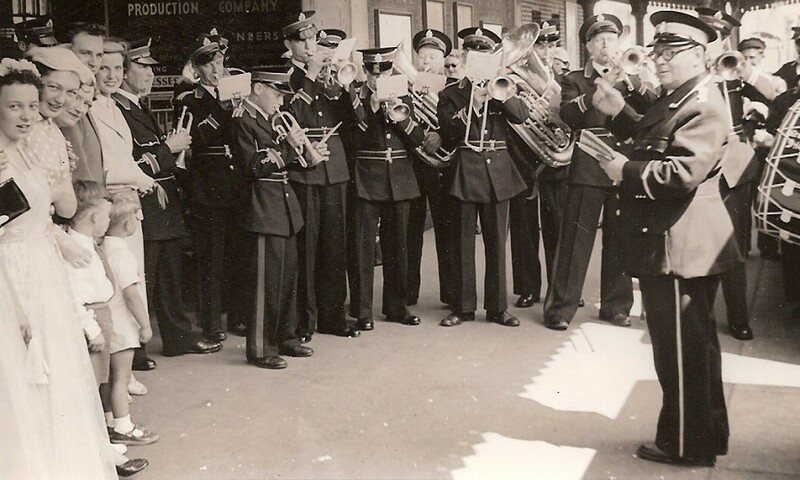 Throughout the fifties and sixties the fortunes of the band waxed and waned but a valuable tradition was preserved, not least by the efforts of one stalwart bandsman, Arthur Frodsham who had played with Kenilworth Town Band since joining as a young cornet player in 1925, aged 11. In 1956, a young lad called Paul Russell followed his friend Kenneth Owen to band practice, intrigued to discover the contents of a mysterious black box he was carrying. The box was duly opened to reveal a shiny cornet. 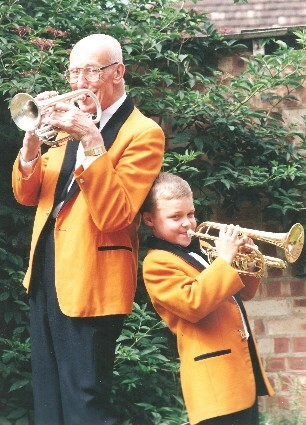 Paul was welcomed by Arthur, persuaded to join the band and was taught to play the cornet by William Bastock, an ex-army bandsman. 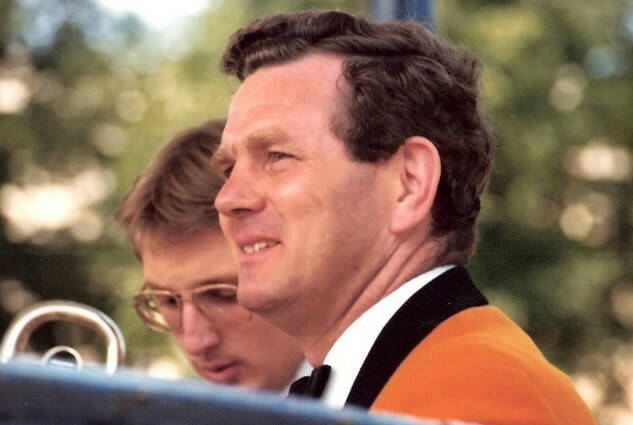 Arthur took over the baton in 1963, Kenneth and Paul went on to celebrate their 'Double Gold' of more than fifty years of banding. 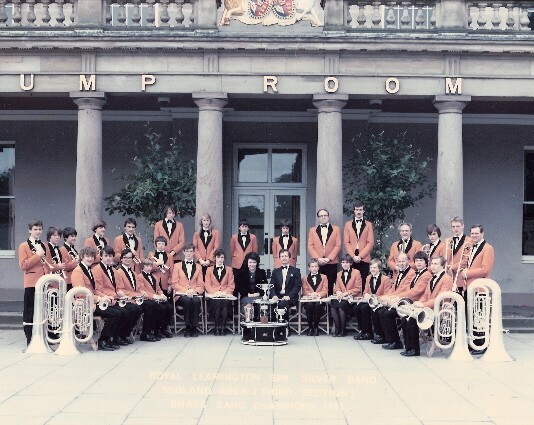 The Leamington Band was wound up for a second time in 1970 but was soon re-started in 1973 by Paul and Greta Russell. 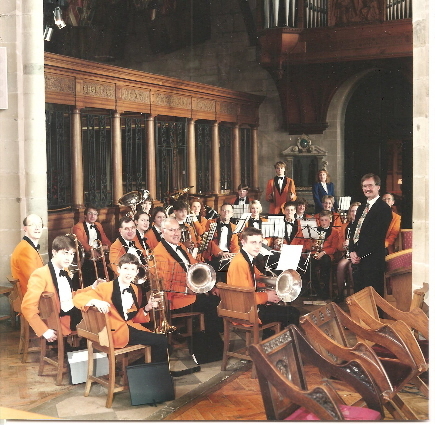 Rehearsals were held in a variety of local venues as the band continued its performances and activities. 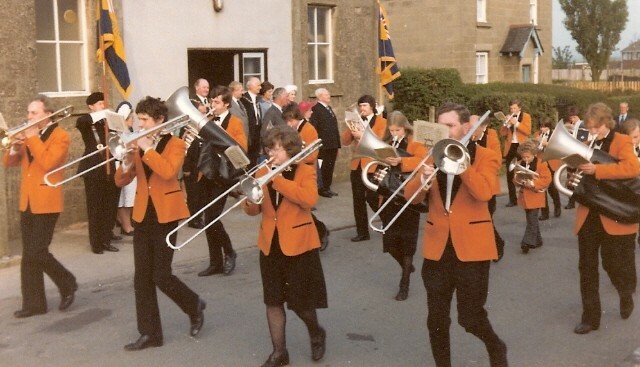 In 1984, the fridges and slabs were removed from the Old Mortuary in Riverside Walk (dead centre of town) and for the first time in its history the band had a permanent home in which to rehearse. Under Paul's baton the band achieved considerable success as winners of the Midlands Area Championships of the second and third sections and reaching the National Finals. 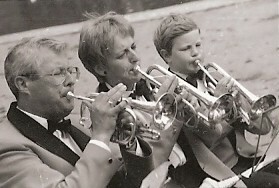 Reverting back to its original name of Royal Spa Brass in 1992, the band has more recently concentrated on Concert rather than Competition performances. 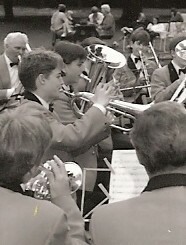 By 1995, the perennial problem of players leaving to pursue job opportunities, university courses, and have babies once again reduced the numbers to a point where Paul Russell considered hanging up his baton, closing down the band for a third time, and retiring to a Rest Home for Old Bandmasters in North Wales. 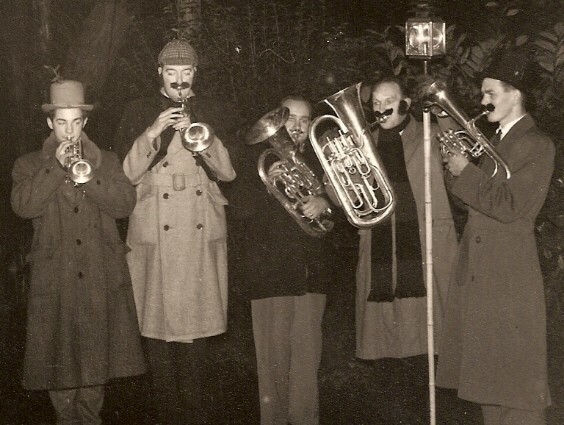 However, the more enthusiastic members of the band were certainly not about to allow 90 years of tradition to whimper to an end just as the New Millennium was approaching ! 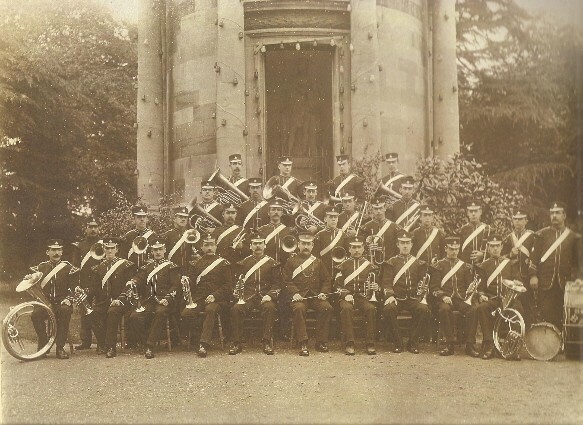 It was time for some vigorous action and to revitalise and lift the activities of the band to new heights that would ensure not just the preservation but the prosperity of Leamington brass and percussion playing into the next century. 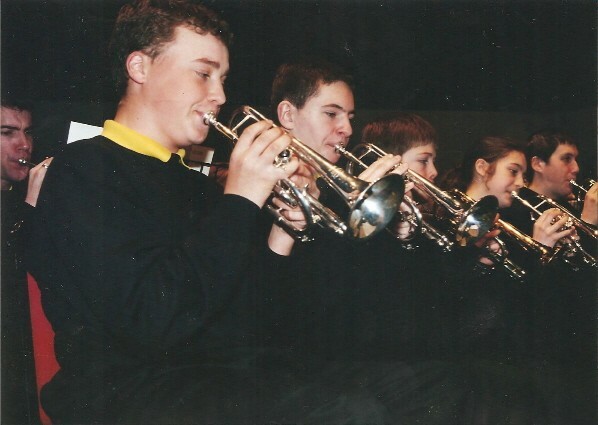 The BRASS 2000 project drove activities for the next six years and gave rise to some spectacular successes including funding awards from the National Lottery and the Foundation for Sport and the Arts totalling almost £100,000. 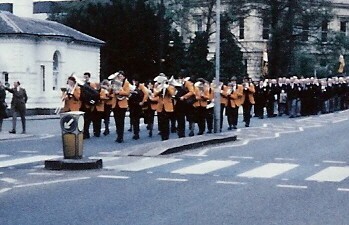 This equipped the band with new brass instruments, percussion equipment, computer technology and a van trailer to transport it all. 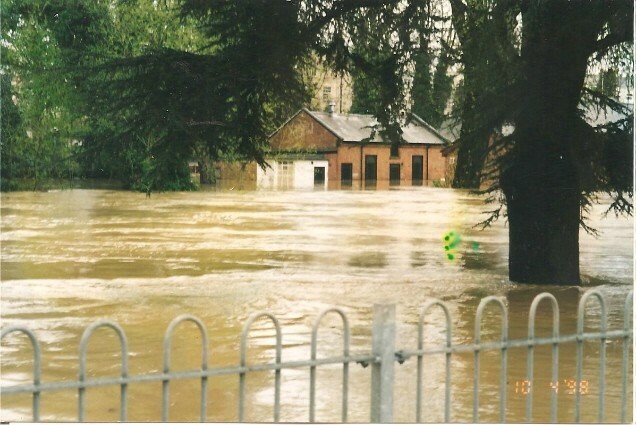 However, just to keep us on our toes, on Good Friday 1998 the Leamington area was affected by the aftermath of the heavy rains which caused the River Leam to burst its banks and flood the town. 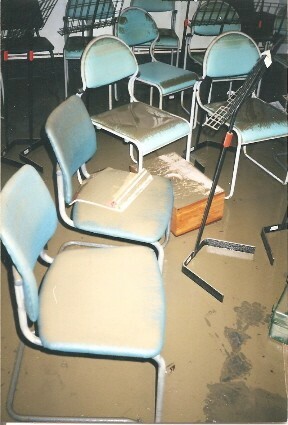 The band was particularly badly hit as an organisation as the flood water reached a level approaching six feet inside the bandroom on Riverside Walk. 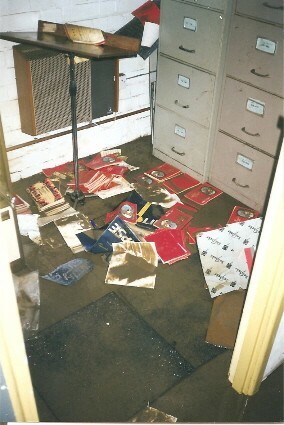 Not only were the premises rendered unusable but also lost were many brass instruments, all the percussion equipment, and saddest of all the entire music library dating back to the 1920's. 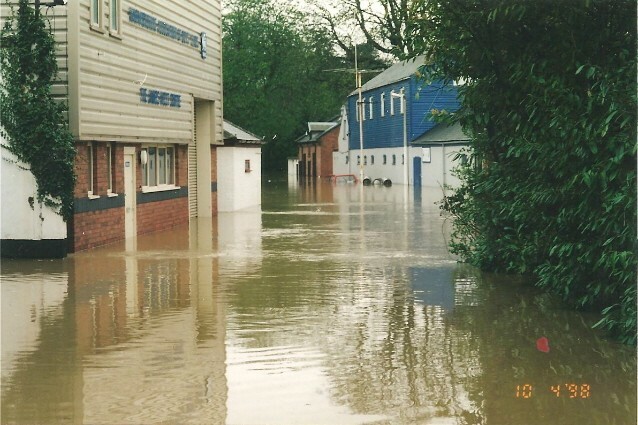 A helpful insurer, and temporary accommodation at Radford Semele Church and in a Tyre Warehouse in Court Street Leamington allowed the project to continue. Well recorded elsewhere, the BRASS 2000 project had a happy ending with a hugely successful Millennium Concert alongside The Black Dyke Band, followed two years later by Deep Harmony alongside another world famous band, Grimethorpe, stars of the film Brassed Off! After a lot of hard work The Band Factory was secured and established as our new permanent home. 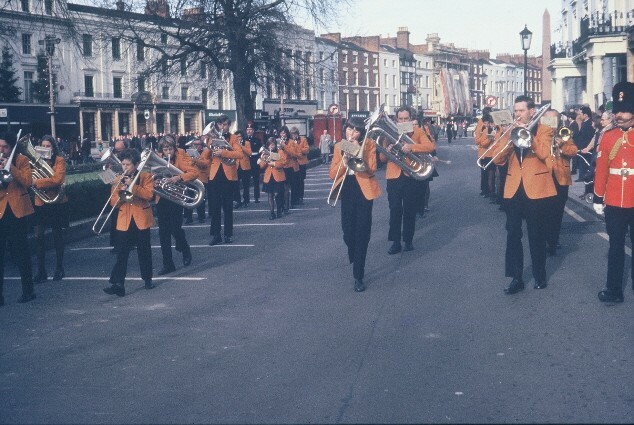 We are now continuing the tradition of brass and percussion playing in Leamington with new and exciting programmes of events and activities, including the Buddin' Brass and Brass Roots training bands. 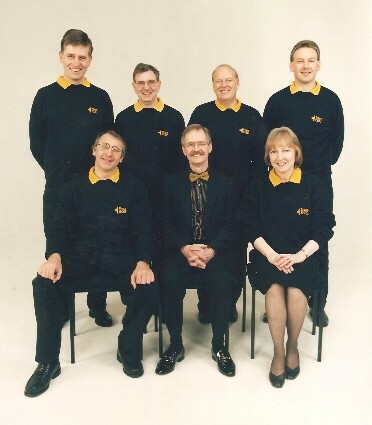 Today Royal Spa Brass takes its direction from Hugh Rashleigh, who injects fresh enthusiasm into all three groups. We are determined to respect our traditions and history while progressing into and adapting to the modern demands of the 21st Century. We'll be around for a long time to come! 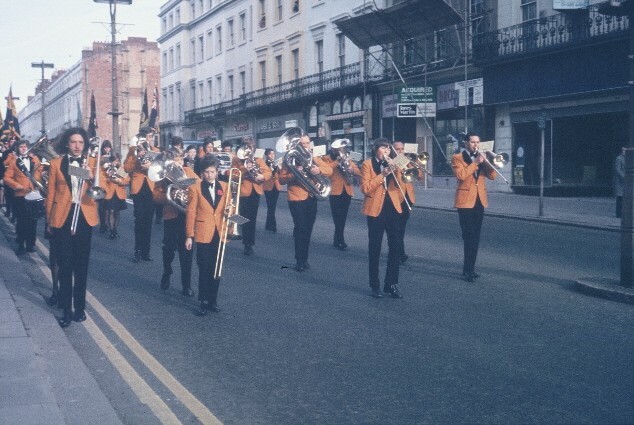 BRASS 2000 was a project run by Royal Spa Brass to train 100 new musicians for the Millennium Concert at Symphony Hall, Birmingham. So the gauntlet had been thrown down. 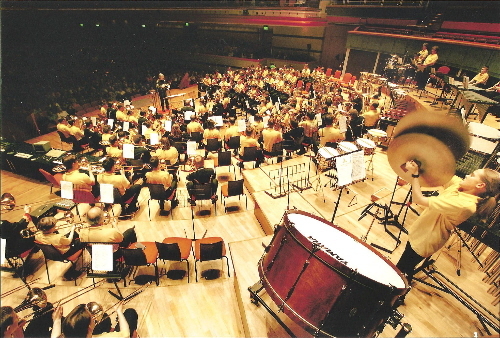 Symphony Hall was booked, the clock was ticking and the challenge was on to recruit 100 new brass and percussion players, equip them with instruments, and train them from scratch to a level of musical achievement that would allow them to sit alongside Black Dyke Band, the world's best, at one of the finest Concert Halls in the country! 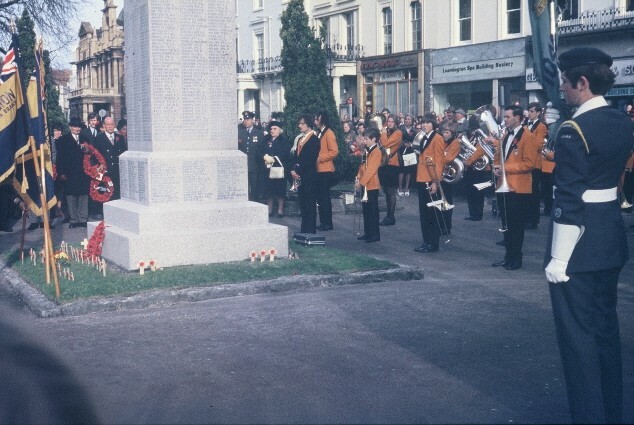 On top of that the plan was to find, acquire, and set up new premises that would provide the best facilities ever enjoyed by the Town Band. All this with a time limit of exactly four years. Challenge Anneka had nothing on this! We're proud to say that we achieved every one of our objectives and the momentous experience will live long in the memories of all involved.